What's Rotary & what we do? More Community Support Fund news. Kilmarnock Rotary were pleased to be able to help Grange Academy pupil Kyle Herbert at a recent meeting. Kyle is going off to China next year and will spend a year working there. He needs to raise £6000 for the trip and is nearly halfway there, and has asked Rotary for some help. 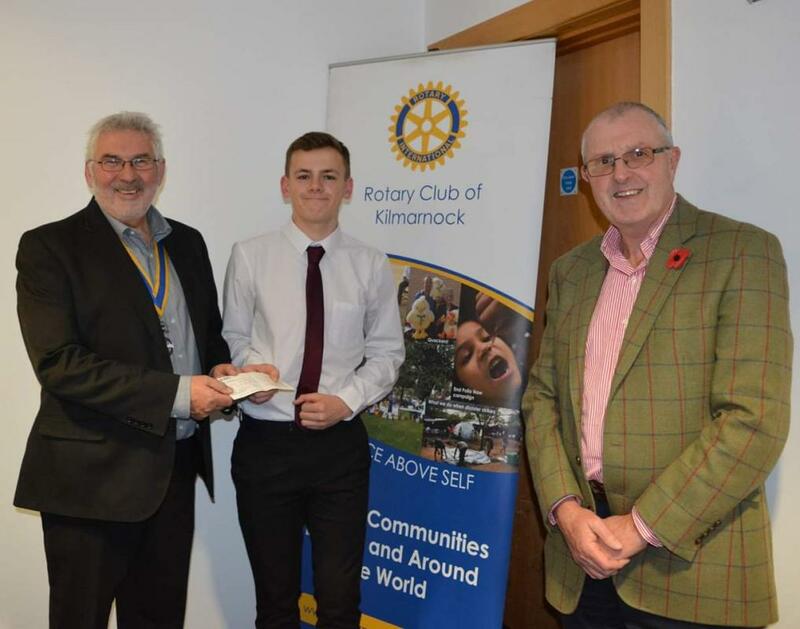 Kilmarnock Rotary presented Kyle with a cheque for £200 and we wish him well for his future travels. The photograph shows club president Ian Geddes with Kyle Herbert and club member Robin McGee.